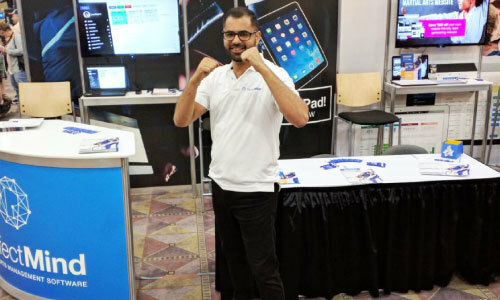 Our team was once again excited to return to the Martial Arts Supershow in Las Vegas; North America’s leading martial arts expo. As a proud Gold Sponsor of this year’s event, we've been a fixture at the Supershow for more than 10 years. This year was the first time we exhibited as PerfectMind, uniting our two brands to better serve clients in a range of health & wellness and education industries. This annual expo attracts some of the biggest movers and shakers in the martial arts industry, with a focus on building stronger martial arts communities and sharing innovative business insights. With an impressive list of international speakers, the event acts as a hub for sharing practical knowledge surrounding the best teaching practices, along with helping school owners grow their businesses. As an added bonus, we gave away two free tickets to this year’s event. The lucky winners stopped by our booth and we were happy to welcome them to the experience. It’s a pleasure for us to work alongside and connect with such passionate professionals who are giving their all to instill their love of martial arts in their students. 2017 proved to be another amazing year for the expo. We were inspired seeing all of the excitement over this year’s speakers and the commitment shown towards improving school performance. 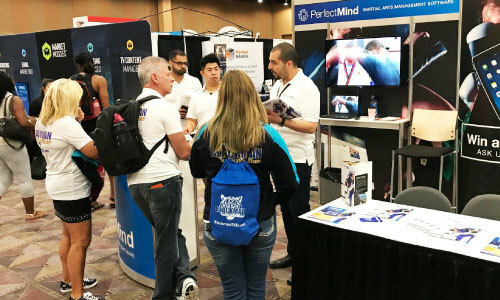 Over the course of the 3-day event, it was wonderful connecting with so many of our clients, as well as meeting industry newcomers who were interested in building a successful martial arts business. There were a host of notable martial arts celebrities and public figures in attendance and we enjoyed spending time with them. We're proud to have names like Herb Perez (Taekwondo Olympic gold medalist), John Hackleman (founder of The Pit), and Nguyen Tom Griggs (world renowned jujutsu instructor and author) trust in PerfectMind to run their schools and grow their businesses. 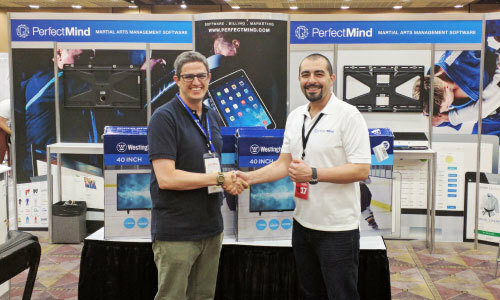 As PerfectMind is committed to supporting communities, both of the new televisions we used at our booth were donated to the Boys & Girls Club; a cause we find dear to our hearts. Their goal is to enable all young people to reach their full potential as productive, caring, responsible citizens; a goal we all share as martial artists. 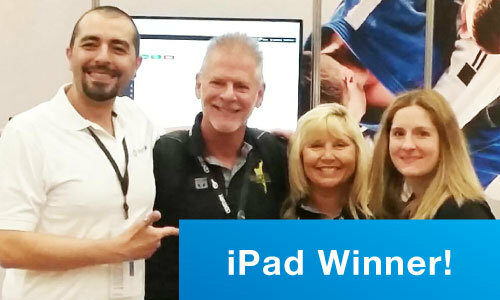 Congrats team at Blackman Taekwondo Academy for taking home a new iPad! Congratulations to Phillip Blackman of Blackman Taekwondo Academy, for winning our annual iPad giveaway! We hope it serves you well in helping you and your team manage your school. We would like to give a sincere thank you to all of the hard-working MAIA organization members who put together such an incredible trade show. Each year, it is truly impressive to see the size and scope of the event and we would like to thank them for having us back. Did you miss us at the expo? Learn more about our martial arts management software, to see how it can help take your martial arts school to the next level.